In a major unprecedented celebration, Ceramica Cleopatra industrial complex in the northwest Gulf of Suez witnessed the Honoring Ceremony of Egypt’s national soccer team after winning the African Nations Cup twice in a row and for the sixth time in its history. 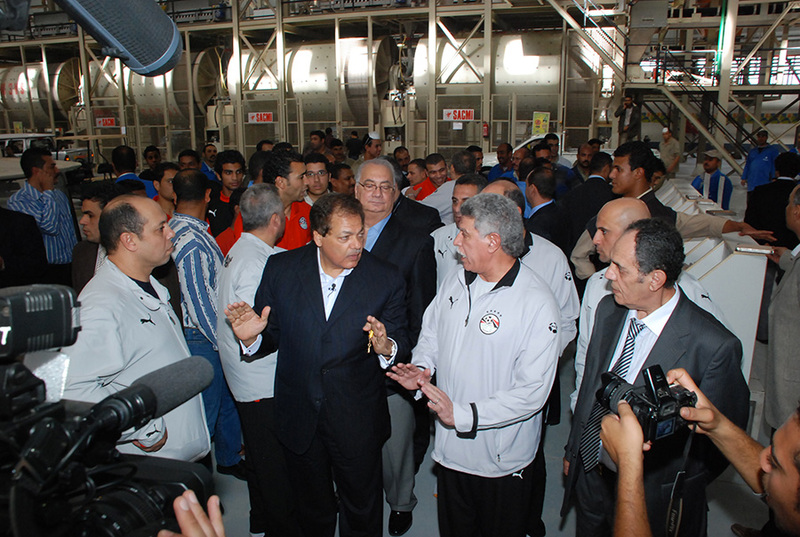 The national team inspected Cleopatra’s international industrial complex, which includes Fancy, Eldorado and Galleria factories and is considered the largest industrial complex in the world for ceramics production. Everyone showed admiration of this edifice, which was described by Captain Hassan Shehata, the team coach, as a “remarkable achievement that he did not imagine its presence in Egypt”. On his part, Mr. Mohamad Abou El Enein, Chairman of Cleopatra Group, received President and members of the Egyptian Football Association, as well as members and players of the national team.